Replacement on/off air switch with special air admitance groove - there is a little groove in the 4mm spigot that the air tube pushes on to (please see picture above) this allows either air to escape, if to much pressure is applied to the button, or likewise if air escapes it can recharge the air tube. If you find that your air button takes a long time to pop back up, it could either be a damaged bellows or the air in the tube has been trapped out of it - if this is the case this air switch is just what's needed! 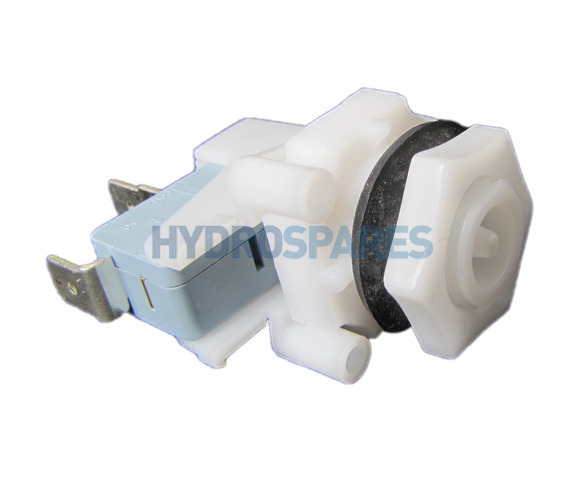 This is the most common type of air switch used in pumps & blowers on the market today (this switch just has the added benefit of the air relief groove). 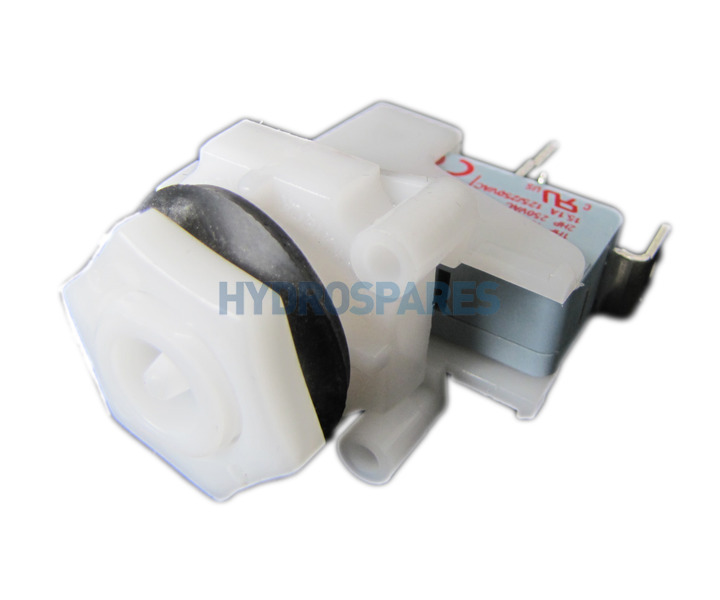 The switch is normally wired inline on the live wire, the switch is normally open and once activated completes the circuit - used for straight on / off applications. This is a latching switch - latch on, latch off. It is also described as a (SPNO) - Single Pole Normally Open switch. Supplied complete with nut, and is for use with pneumatic air buttons and 4mm ID air tube - please see related listings.